Are Your Online Hiring Practices Setting You Up for a Class Action Lawsuit? On the 20th of this month several well-known companies, including T-Mobile, Amazon, and Cox Media Group, were named parties in a class action lawsuit filed in California related to their online hiring practices. The plaintiffs in the lawsuit are seeking class-action status to represent Facebook users age 40 or older who may have been denied the chance to learn about job openings. The action alleges that advertisements were placed on Facebook that restricted who could see the advertisements by age. This new area of attack by the plaintiff’s bar targets advertisements on all social media sites used in the recruitment of employees and will impact a broad range of industries. Last week we blogged about which decisions of the Obama-era National Labor Relations Board (NLRB) might be most ripe for reversal under the NLRB’s new membership and General Counsel. This week, on December 1, 2017, we got further insight into those expectations when Peter Robb, the new General Counsel issued a memorandum containing insights into his initial agenda as General Counsel. 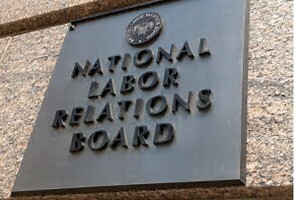 The memorandum’s identification of subjects for special consideration, along with its general tone, provide further strong indications about the likelihood of coming significant policy shifts at the NLRB in favor of employers. In September 2017, the U.S. Senate confirmed William J. Emanuel to fill the last vacant seat on the National Labor Relations Board (NLRB). Emanuel joins recent appointee Marvin Kaplan and long-standing member Philip A. Miscimarra to form the first Republican-majority board since 2009. 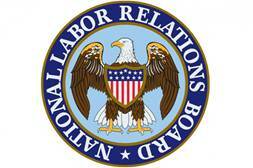 However, these weren’t the only significant developments to come to the NLRB this fall. On Nov. 8, 2017, the U.S. Senate confirmed Peter Robb, a management-side labor lawyer, to replace President Obama-appointed Richard Griffin as the NLRB General Counsel.